Check back on August 21st at 12pm PST for results! for a couple bucks extra. For our latest quarterly flash fiction contest, we’re asking you to draw inspiration from the animal kingdom. 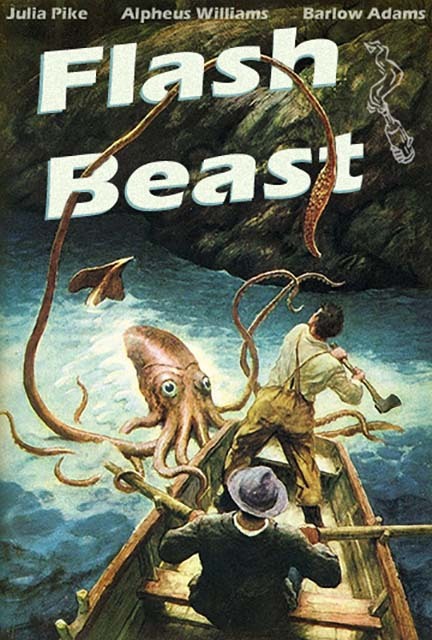 Flash Beast challenges writers to come up with dark and offbeat stories that involve non-human creatures. We want strange and surreal entries rife with primal impulses or majestic dignity, tales that range from domesticated to feral. Now this doesn’t mean we want to see dozens of anthropomorphic critters dancing around the page. There’s certainly no expectation that you tell a story from an animal’s perspective—if you can do so, great, but it’s difficult to pull off. And the animals don’t even need to serve as the central focus of the story, they just need to factor into the narrative in a meaningful way. We also want to caution against taking too sentimental a route; stories akin to putting down Old Yeller or killing Bambi’s mom will probably end up too maudlin, so use a deft hand if you’re trying to tug at heartstrings. And while you’re certainly free (and encouraged) to indulge in sci-fi or horror angles, we aren’t looking for outright monsters or fantastical beasts here. Entries should incorporate an animal that has at some point actually existed in the natural world. Follow these guidelines, and you could have some extra coin in your pocket, and some bragging rights as the Flash Beast winner. – And, most importantly, this is a FLASH BEAST contest, so you must include at least one non-human animal in a meaningful way. But again, this can be in any form imaginable.